New Zealand has recorded a good start with the Southern Alps getting a good covering of snow ahead of opening of most resorts over the next couple of weeks.Despite this good start some predictions suggest that this winter could be below average down in NZ due to the 'La Nina' weather effect which usually brings warmer and wetter conditions set to come into play. Things are a little more tense in Australia with opening day on the horizon. On the whole they have received a light dusting of snow in addition to that created from snow-making. Similarly to New Zealand, they are also expected to have a wetter and warmer winter season in Aus but there is also the chance that they could get some big dumps of snow with plenty of weather coming through. 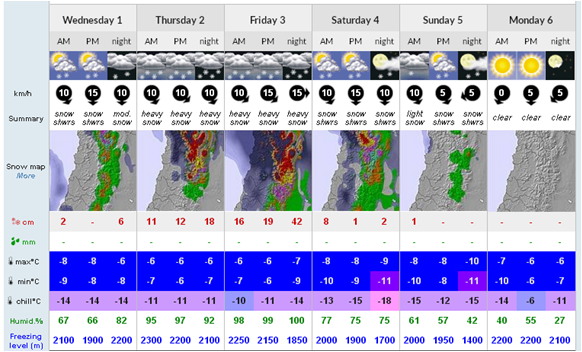 Snow is also beginning falling across the Central Andes of South America with some Chilean resorts predicted to receive huge amounts of snowfall over the next few days. 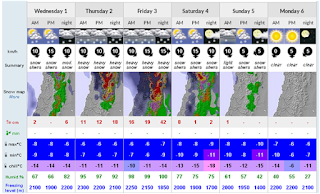 The resort of Valle Nevado in chile is expect to receive somewhere in the region of 2.5 metres of fresh snow at the the top of the mountain. We can't wait to see the pictures if this materialises! Meanwhile in the European Alps we are still recovering from an exceptional winter with snow falls well into May! This means that authorities are busy clearing snow from the high mountain rods such as as Col d'Iseran, which you can usually take from Val d'Isere over into Italy during the summer. At the moment it's covered in snow and impassable, but those concerned are working hard to get the road ready for summer.